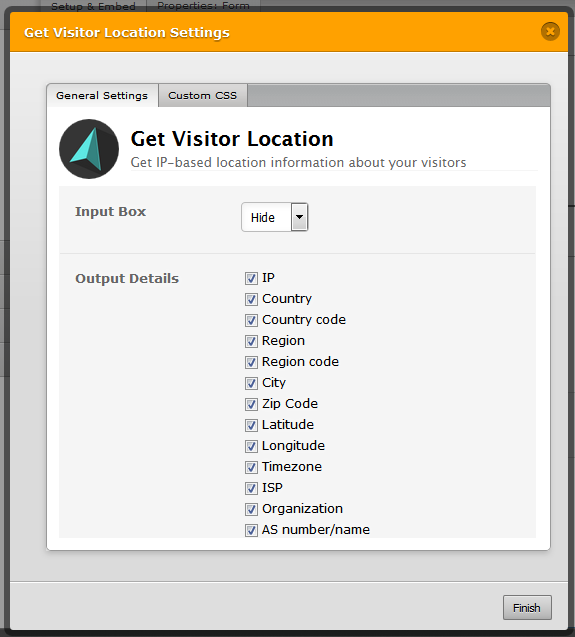 We are trying to use the 'Get Visitor Location' widget. It works a few times and then all of a sudden will disappear from our forms. This has happened multiple times now. Any help would be appreciated. We just added it again but it will likely be gone by tomorrow. I did check your forms for the Get Visitor's location widget and it appears you have set them to be hidden in your form so it wont be visible to the end user. Normally when you add the widget it doesn't have a label some of your form have multiple instances of the widget. You can assign a label to it to make it more visible, see the GIF below, your widgets are located at the bottom of the forms. Kindly let us know if this addresses your issue. not on the form anymore, and I have to re-add it to the form. Sorry for this inconvenience. It seems that this widgets is not getting loaded correctly. I have raised this to our back end team. Once we have any update we will let you know. There will be a shield next to the address bar. Click on the shield and select the DISABLE PROTECTION ON THIS SITE from the dropdown. In the same manor, you will notice a shield next to the address bar. In this case select the LOAD ANYWAY link. This has been fixed - the widget will now work on secure forms. Thank you for your patience - please let us know if you have further concerns.